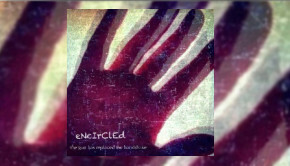 Consistency is a problem, progression is often a problem, and yet Encircled have delivered both in their third album (Can you be consistent and progress?). This time themed around computers and social media and our love/hate relationship with those two apparent beasts, a theme also reflected upon on The Pineapple Thief’s latest album Dissolution; both different albums but having a right to claim high quality, from slightly different perspectives. 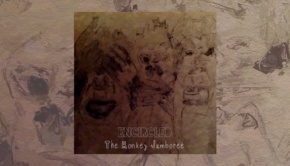 As is often the way on an Encircled album, the opening melody repeats on the last track, a musical play on words. 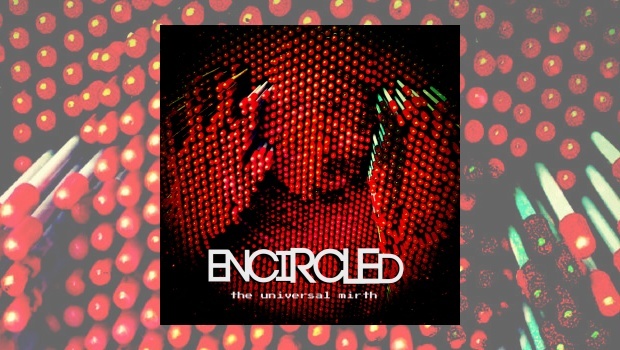 Encircled. Commenting on our obsession with technology and social media, questioning whether we have lost our way, similar in concept to Bruce Soord’s take but with a lighter touch. Lyrically the band have worked hard and a reading of the words whilst listening is thought provoking, those trips to Cornwall to write being very productive. The Obsession is rocking a great hook combined with the drums and I’m already smiling. Stereo effect is used like drifting thoughts across a musical plain, and just when you have settled in Past Times changes the tempo completely. What is consistent throughout though is the production, high in every sense and beautifully balanced, no instrument drowning out their brethren. Gareth Evans’ guitar work, as of them all, is sublime. The overall theme is the magic and mayhem of tech and social media, a bit of an O.K. Computer for the modern day. Busby switches from the magic of it all to the threats, really quickly, in particular the first three songs. Log In – The Mystical Way is kind of about the magic/mysticism and promise that tech had for us and The Obsession is all about news overload/hacking/stalking/ cyber bullying. Past Times is just that, a hark back to a simpler time. This Is Goodbye is a well-crafted ballad in style, bittersweet lyrically, but much lies in those things that must pass. This is often the case, hang on in the comfort of security, or cut your loses and run. Been there, had the tear stained t-shirt; Aw, thanks for the reminder Scott! Great, cheer me up why don’t you. Smiling On The Inside reminds me of some of the lesser known Aussie rock pop of the ’80s; Mental As Anything. It’s a rhythm thing, but after This Is Goodbye, just the right sort of tune. I think this is one for the crowd when they play Fusion 2019 next March in Stourport. It really is a class piece of Rock/Pop, a term some may consider derogatory, but good music is good music whatever its base ingredients. Still essentially a free piece, I wonder who their live drummer will be? 22 Likes is Marillionesque in places, but if you’re not a fan don’t let it deter you, it is also Floyd, Genesis, all blending in a cosmic soup of aural pleasure. If it is several parts pasted together on the studio floor, it really doesn’t show, listening through Beats, I find it easy just to close my eyes and drift. 22 Likes is about the acceptance of how desensitised we have all become to it and that runs all the way into Log Out, which kind of summarises it all. Almost prescient, A Fantastic Souvenir ventures into The Great Gig In The Sky territory and delivers, I think. Dave Kerzner (Sound of Contact) may like this one. I certainly do. Kim Hart sings beautifully, easily owning her own place in musical history with that of the Floyd song. Throughout this album Mark Burrows delivers a lesson in vocal clarity and delivery, it’s a gem. So nice not to mishear lyrics despite the amusement that mishearings may deliver. All too soon it is time to play out, or more accurately Log Out – The Universal Mirth. 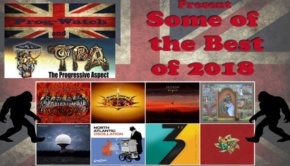 This track contains Peter Jones in one of his continued attempts to appear on every album released in 2018. “Pete contributed a 3-minute keyboard solo on the closing 13-minute track Log Out that is one of the finest things I have ever heard, a goose bumps moment for the band”, says Scott. Three times the length of the intro, it is 12:46 of bliss, again touching on their influences they still create their own distinct sound. I hope that they get the stage time to deliver this material live next March, they will share the stage with a number of great acts but given this and the two previous albums I am certain they can hold their own and perhaps steal some of the show. It is for me a must buy, and will still be there at years end in my top five.